Shopify Dropshipping - Scale to 7 figures with Clickfunnels! (2019) | Free eBooks Download - EBOOKEE! Posted on 2019-04-15, updated at 2019-04-18, by Germany2020. This is the complete Shopify Dropshipping Masterclass - Learn everything you need to know from building your Shopify Store; choosing winning products on AliExpress; building product funnels with Clickfunnels from start to finish; automating orders with Zapier, and exactly how to run targeted ad campaigns to your funnels using Facebook and Instagram. This course is perfect for all skill levels, including absolute beginners. You will gain all skills necessary to build a profitable eCommerce business. Do you know what it takes to build a profitable drop-shipping business in 2019? ECommerce has been growing 23% year over year and it's not about to stop any time soon. While retail stores are going out of business, more and more people are shopping online. People are making TONS of money online every single day with eComm, and there's no better time to start building a eCommerce business than in 2019. But the rules for eCommerce and drop-shipping have changed in the past few years. Advertising costs are rising and it's just not enough to add an AliExpress product to a Shopify store, start some ads and think you are going to break even, much less rake in those massive profits that were possible a few years ago with this strategy. 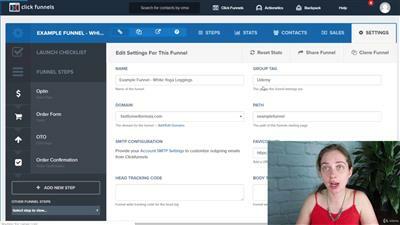 ....And finally, you need to know Clickfunnels - the biggest kept secret in eCommerce - this one strategy alone will make you 5x as much money per campaign because you can UPSELL and massively increase your average order value! Too bad these stores weren't using a sales funnel! ...AND customer emails are collected so you can sell your customers later, without spending a DIME on advertising. ....As well as automating these processes so you can spend less time on your business and make more money. I created this course to help beginner entrepreneurs who are aware of the potential of eCommerce to provide a lifestyle of financial freedom - but who need a little guidance to build their business successfully to start seeing results FAST. In this course, you will learn all my secrets to success so you can crush eCommerce in 2019 and take advantage of this huge opportunity. 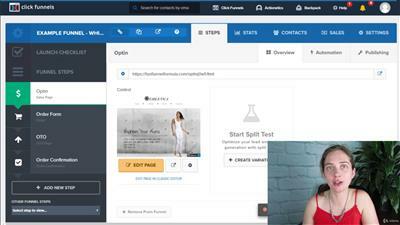 PLUS the E-Commerce Bonus funnel that we will build in the course! This is THE MOST complete and comprehensive course that will take you from absolute beginner to profitable business with eCommerce drop-shipping! Join the course to learn Shopify Drop-shipping in 2019 and start making money with eCommerce now! ....Also Note that Udemy Offers a 30 Day Money Back Guarantee. So what do you have to lose? Invest in your future today and live the life of financial freedom tomorrow. I'll see you inside the course! 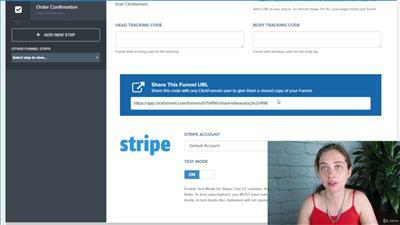 2019-04-21Shopify Dropshipping - Scale To 7 Figures With Clickfunnels! 2019-04-10Shopify Dropshipping - Scale to 7 figures with Clickfunnels! No comments for "Shopify Dropshipping - Scale to 7 figures with Clickfunnels! (2019)".